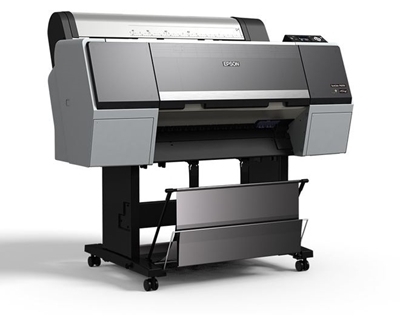 The EPSON SureColor P6000 knows knows that artists have the unique ability to inspire change. 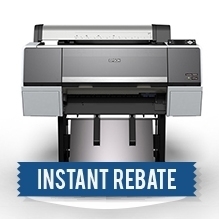 Pricing includes Epson's $400 Instant Rebate off the regular price of $2,495. Good through April 30, 2019. The 24-inch Epson SureColor® P6000 printer is the worthy successors to the class-leading Epson Stylus Pro 890 Series. Designed for general purpose graphics and photographic applications, the Epson SureColor® P6000 printer incorporates our latest imaging technologies – including an exotic Epson PrecisionCore® TFP® print head, along with our unique Epson UltraChrome® HD eight-color pigmented ink set.